In the next few months, this column will publish, for the first time, excerpts from these revealing interviews. The conversations encompassed a range of subjects, from family origins, to recreational pastimes, to what has changed — and not changed — in Mendocino. We’ll start off with the interview Morgan Matthews and Will Tomlinson conducted with Mendocino-born Alvin Mendosa, a gentleman who is still with us today. Will asks, “Could you tell us about how your family came to Mendocino?” And Alvin replies that his father Joe’s side of the family came from the Azores Islands off the coast of Portugal. His mother, Mamie Gordon, had family that hailed from Germany and England via Australia, landing in California at Cuffey’s Cove just north of Greenwood/Elk. He then explains his family’s business, Mendosa’s Hardware and Grocery, and his role in it. We are fortunate that so many people over the years have understood the importance of taking down the memories of those who were here before us, and that many of these stories are preserved here in the Kelley House Vault. 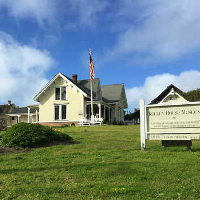 If you would like to hear these recorded voices or read the stories in full, just give us a call at 707/937-5791 and we’ll set you up for a visit at our research office on Albion Street in Mendocino. 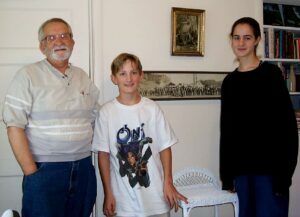 Our hours are Monday through Friday 1:00 to 4:00, or email us at curator@kelleyhousemuseum.org.